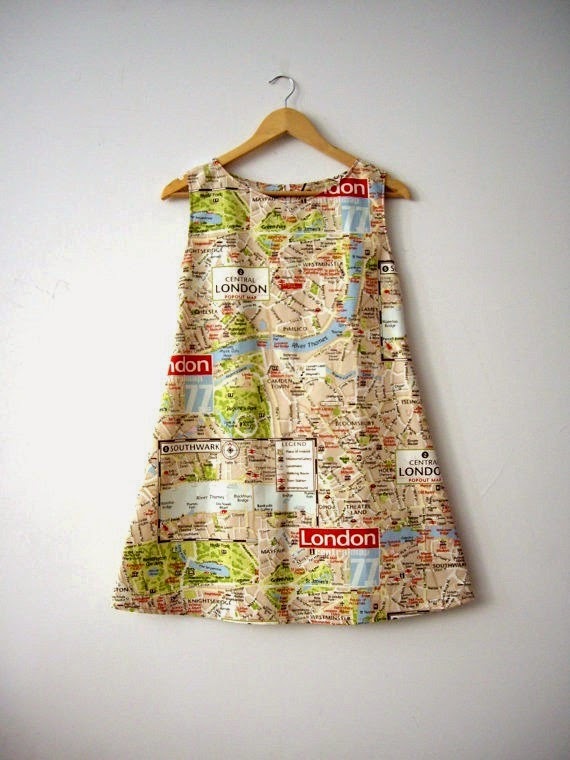 I pretty much want everything from Cruel Candy, especially this map of London dress. 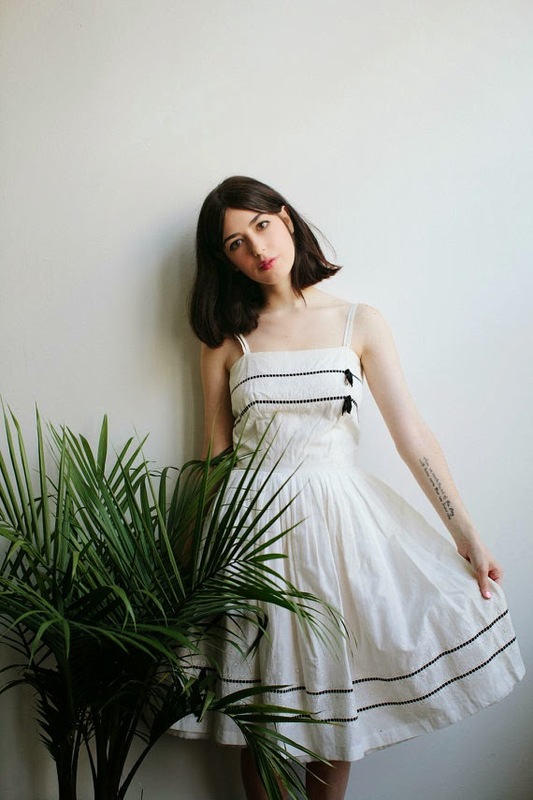 This white vintage dress from Tomorrow is Forever is an absolute dream. 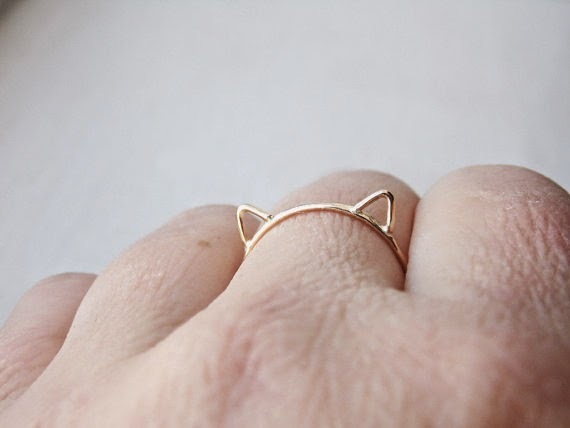 A simple, subtle cat ring? This one from Autumn Equinox is lovely and all kinds of perfect. I learned about Nerdy But Still Girly from The Nerdist last week, and I am obsessed with all of these earrings. 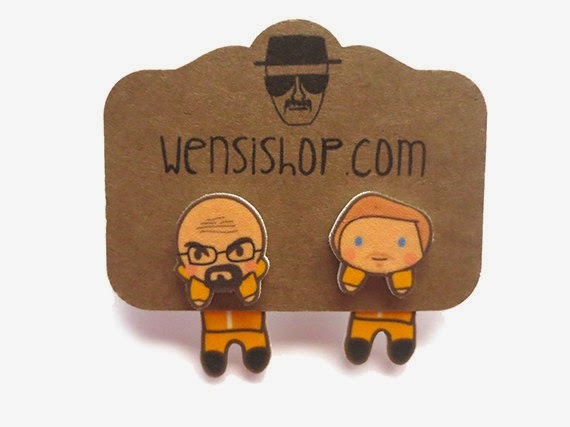 I don't even really wear earrings, but if I had some in the form of Walt and Jesse, Groot, Rick and Morty, or Sherlock and Watson, I would definitely start. 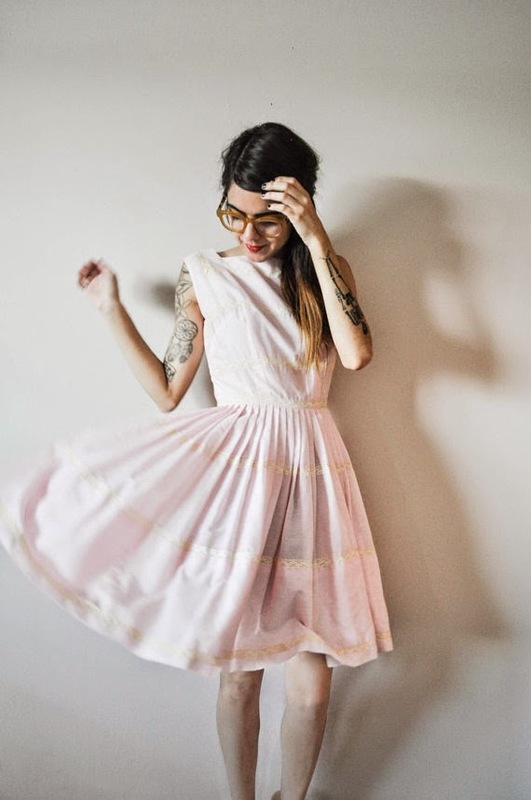 Can I have everything from Vintage Style Me? Every item is ridiculously adorable. I've still been using my lanyard from my university to hold onto my keys, but now that I've een out of school since May, I'm thinking it's time to retire it. 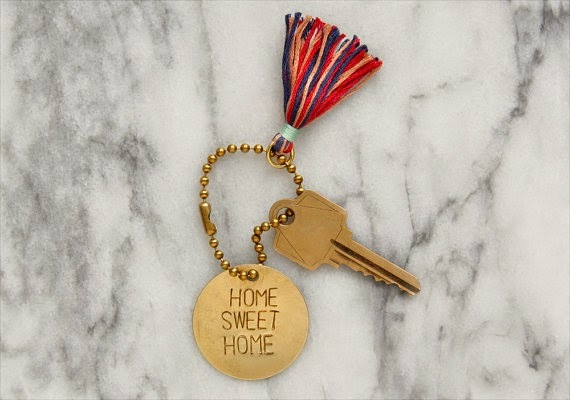 This key chain from A Ways Away would be perfect. 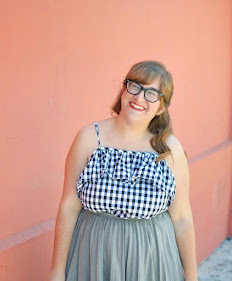 I'm not sure what I'm more in love with, this dress from Way Way or the overall styling of it. I think these sweet dainty bracelets from Littionary would make a great addition to my jewelry collection. 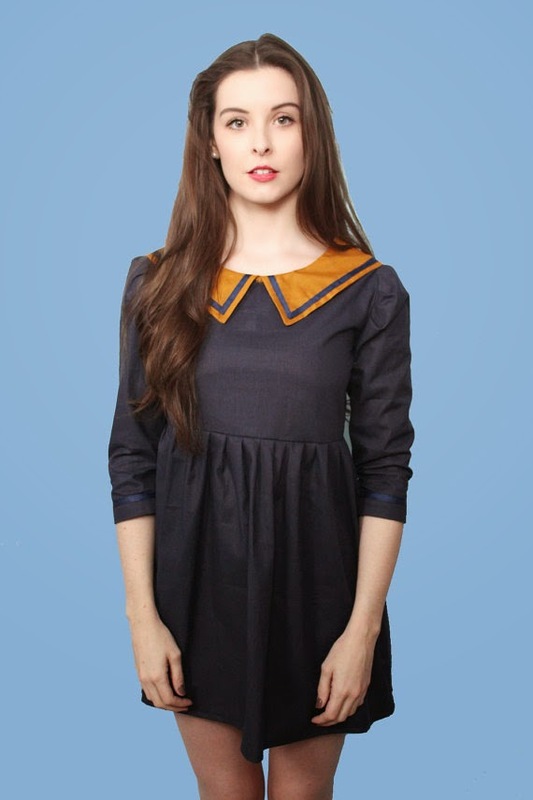 This vintage dress from Good Company Co. is too pretty for words. All of these dresses are sooo pretty! The map one is especially cool. I think I love all these pictures together! They're just beautiful. 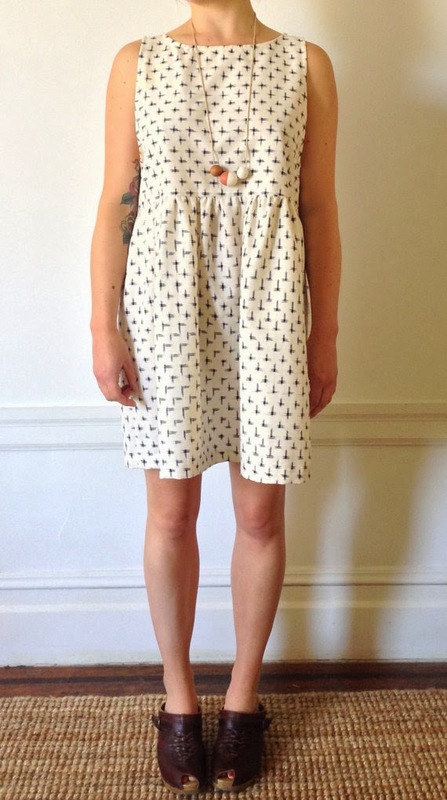 But really that dress from Way Way- LOVE! All of these picks are awesome!! My friend would love that cat ring! 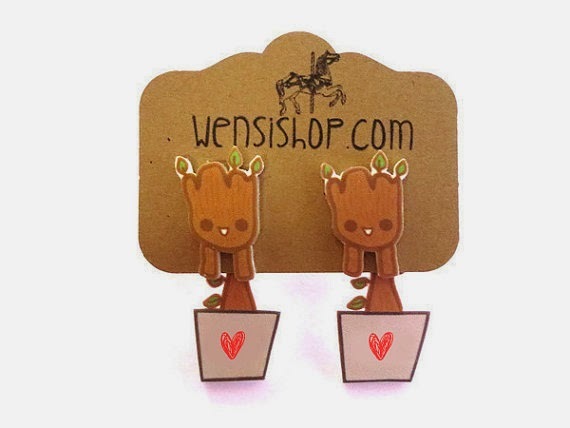 Sherlock and Watson earrings?! Yes!!! Oh, my goodness, that first dress! So in love. And I need a pair of Sherlock and Watson earrings SO BADLY. Oooh, and that key chain is just perfect! Oh, that cat ring is the cutest freakin' thing. Those earrings from Nerdy But Still Girly make me wish I could wear something other than plugs, but at least I can swoon over everything else in the shop as consolation. 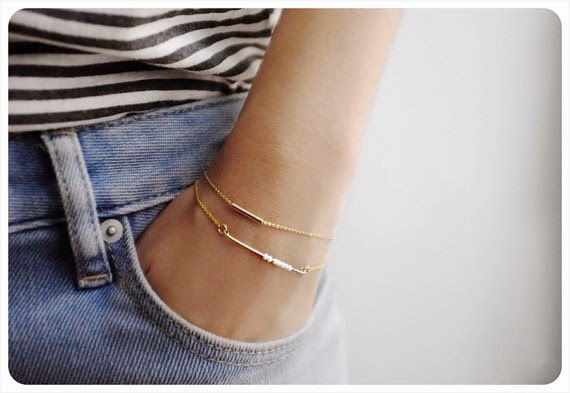 OMG those dainty bracelets are perfect!! I would totally see myself wearing those in a heartbeat.